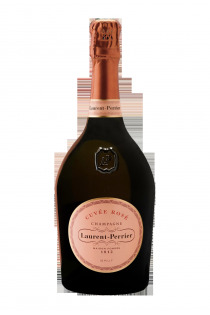 Products of the domain : Laurent Perrier. 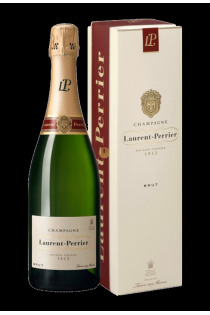 The Domaine Laurent-Perrier is located in Tours-Sur-Marne and was born in 1812, thanks to André Michel Pierlot. Tours-Sur-Marne is at the crossroads of several major wine regions of the Marne: the Montagne de Reims, the Côte des Blancs and the Vallée de la Marne. It was in 1881, on the death of Michel Pierlot, that Eugène Laurent, the head of the cellar, took the reins of the estate. He wants to develop it by integrating houses and vineyards. He therefore buys property in Tours-sur-Marne and vineyards on large terroirs, such as Bouzy, Ambonnay and Tours-Sur-Marne. It also builds a cellar of 800 meters, as well as a tasting lab. 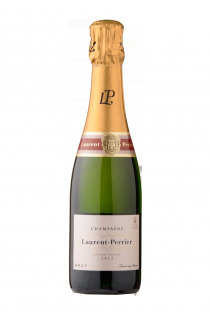 When Eugene Laurent dies, Mathilde Emilie Perrier, his wife, renames the House: Veuve Laurent-Perrier. From now on, she is at the head of this one and then bequeaths it to her daughter, Eugénie Hortense Laurent. It was in 1939 that Marie-Louise de Nonancourt took over the Maison Laurent Perrier, while her son, Bernard de Nonancourt, was interested in the profession of vines, in order to take care of the estate one day. In 1948, he became Chairman and Chief Executive Officer and hired about 20 people. 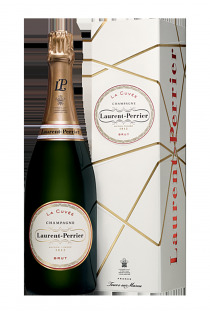 La Maison Laurent Perrier sells more than 80,000 bottles of champagne and exports them to more than 160 countries. 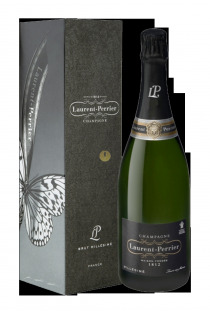 Millésime 2004 - Laurent Perrier.